My first go at a time lapse in 360 degrees was an adventure, so I am going to lay out two ways you can go about creating your own. Your first option, albeit probably the wrong option and the one I used for my first try at this, was to leave the camera running for 25 to 30 minutes (or however long you need it to and however long the camera will allow), and then try to take that file and speed it up directly in Premiere Pro. Your second option for creating a time lapse in 360 is to do it directly through the camera and company’s apps. The latter of these two options is probably your best bet, but I will explain the processes for both. 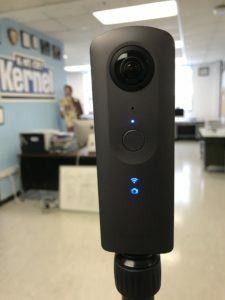 Set up your 360-degree camera. I used a Ricoh Theta V when creating my time lapse, and it worked great. The quality was extremely good. This camera will only allow exposures of up to 25 minutes, but don’t worry if you need a longer exposure. You can edit the clips together in Premiere Pro and they will seamlessly play without you even noticing that it was filmed in pieces. This part is a bit tricky and what gave me the most trouble. The file size for the long exposure is too large for the normal processing system to handle, so when the file gets imported to your computer it is too big to open and will likely show an error message. Luckily, there is a fix for this. Assuming you have the Ricoh Theta app to stitch your videos, there is an additional download that will transfer files larger than 4 GB. 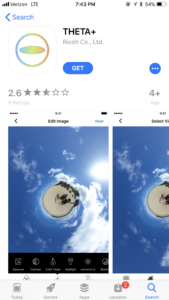 The file transfer app can be found at https://theta360.com/en/support/download/ (You can also download the Ricoh Theta app here). After you transfer the file and are able to open it, continue with your normal stitching procedure. 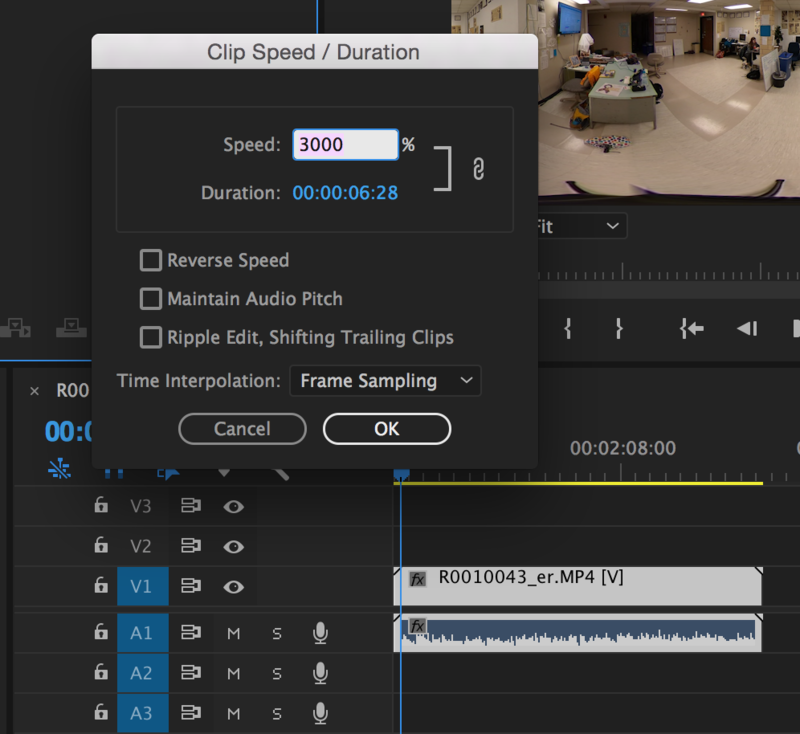 To speed up your video clip and create a time lapse in Premiere Pro, you will first need to right click on your selected video clip in your timeline and select Speed/Duration. 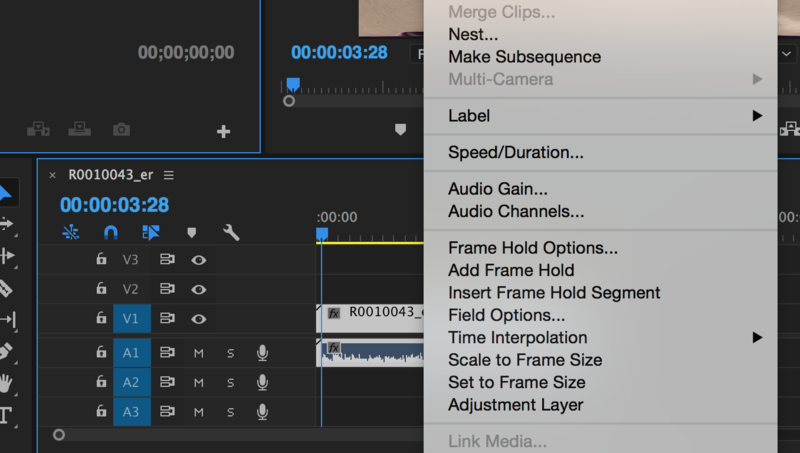 The next step you need to do is add your stitched video to your timeline in Premiere Pro. Once you do this, click on the video clip in your timeline and then right click on it. Choose the option that says “Speed/Duration.” You will then see a box that you can change the number for “Speed %.” The normal speed is 100%. If you want to change your 30-minute long video clip into 30 seconds, you are going to need to up this to about 5000%. You can play around with the exact percentage number until you get it how you like it. Inside the Speed/Duration tab, you can change the Speed %. And that’s it, you’ve created a time lapse, albeit the hard and slower way. You will have to download the Theta+ app in addition to the Ricoh Theta app to create a time lapse directly using the apps. In the world we live in today, there is always an easier and faster way of doing things. Lucky for us, the Ricoh Theta App combined with the Theta+ app allows you to create a time lapse directly in its system. This is what the camera should look like when it is in Picture Mode. If you have any doubts about adding a time lapse to your next video project, just know that the end result, if done right, looks really cool.